At Caterpillar’s year-end media event, the manufacturer highlighted 24 new machines, including two new motor graders. 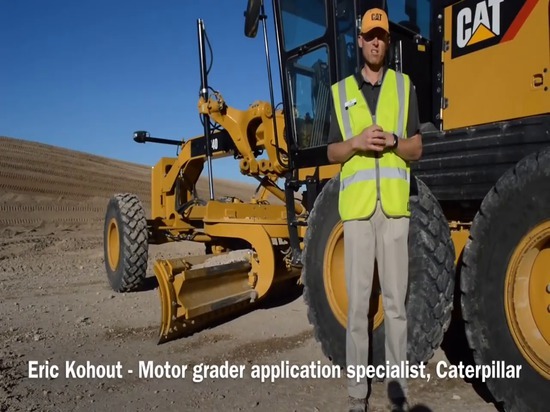 “We’re really revving up the new products, new technologies, and new solutions we are bringing to market,” says Fred Istas, vice president of Cat’s earthmoving division. 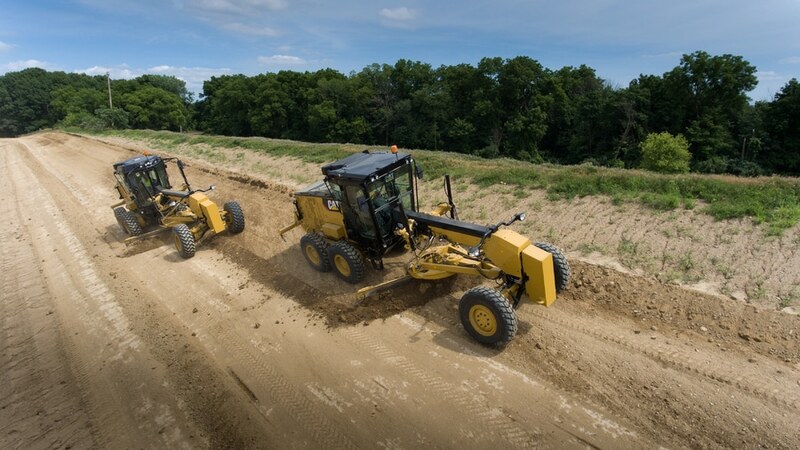 The new Next Gen motor graders include the Cat 120 and Cat 140 and focus on providing a broader range of options to allow a producer to customize the unit to both the operation and the operator. Choices include drive systems and control styles, as well as the level of technology. As part of its expanded offerings, the Cat 120 motor grader is available in either a steering wheel/lever or joystick control configuration, while the Cat 140 is available with the steering wheel/lever control setup. Serviceability was also taken consideration with these machines, which are said to offer up to a 20-percent reduction in fluid and filter maintenance costs. Through nearly 12,000 hours of field follows, extended fuel and hydraulic filter intervals were put to the test to validate longer maintenance intervals. When filter changes are required, their grouped location streamlines the maintenance process. 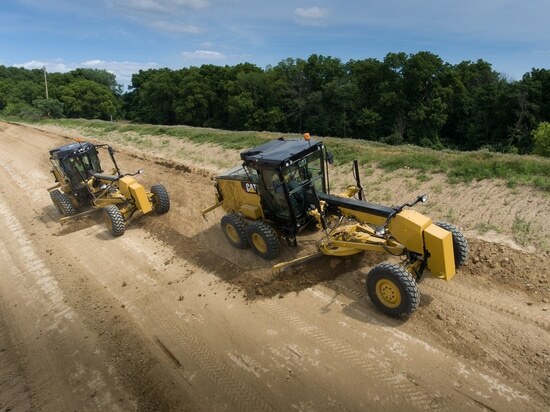 The motor graders are also more fuel efficient than their predecessors. Cat says the 120 offers up to a 15-percent fuel reduction when used with the standard ECO mode, while 140 is up to 10 percent lower in certain applications. The joystick configuration adds an estimated 11 percent to the price tag, compared with the wheel/lever controls, but are said to reduce hand an arm movement by up to 78 percent. The cabs of both motor graders have been redesigned, with the HVAC systems moved to the top of the cab for a quieter, more comfortable operator environment. The Cat 120 has two different cabs, depending on controls option. The angled cab for the joystick controls offers a clear operator view of the blade while more real estate offers the necessary room for the wheel and levers in that machine. “What this machine provides is a truly new operator experience,” Kohout says. “There are changes from little things to big things.” For example, the door latch is floor mounted for easier access while the C post has been moved to the back of the cab, opening up its visibility. The air-suspension seat is heated and cooled with air-adjustable side bolsters. An 8-inch touch-screen monitor display offers a simple user interface that can be used to build in future technology. Scalable Cat GRADE technologies provide grade control options for a range of different application requirements and budgets. In addition, the optional Stable Blade system automatically slows the machine if the grade will be adversely affected by machine bounce. The Cat 140 has an adjustable control console and a display screen that includes machine functions and can integrate with Cat Connect. An air-suspension seat, rear wiper, and defrost fans enhance operator comfort while a rearview camera system is available to improve visibility. The Cat 120 motor grader has two different cab styles, one for wheel/lever controls (right) and another for the joystick controls (left).